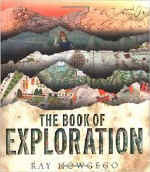 Ray's The Book of Exploration, a more modestly priced, lavishly illustrated popular history of exploration, was published simultaneously in August 2009 by Weidenfeld & Nicholson (Orion Books) in the UK and Bloomsbury (Walker Publishing) in the USA, and is available from online booksellers and local bookstores throughout the world. A German translation was issued by Primus Verlag in September 2010. 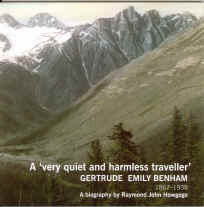 In addition, Ray has written the only book-length biography of the prolific lady traveller Gertrude Benham. Entitled A very quiet and harmless traveller: Gertrude Emily Benham 1867-1938, it was published by the Plymouth Museum in July 2009 and is available from the museum's bookshop. Ray's latest book, which further explores the subject of imaginary geography, is an historical study of Atlantic vigias, i.e. islands, rocks, shoals and other dangers to ships that appeared on official charts in the mid-Atlantic but had no real existence. Titled The Historical Encyclopedia of Atlantic Nautical Hazards, the book was published by IB Tauris in 2015. Ray was Consultant Editor for the Illustrated Atlas of Exploration, published by Weldon Owen in 2011 and syndicated elsewhere. He has also contributed a number of articles on 'missing explorers' to the Oxford Dictionary of National Biography; he has written book reviews for the International Journal of Maritime History; and he has been a consultant to the National Geographic magazine, and to several TV documentaries, including the VPRO film series O'Hanlon's Heroes (2012) and the series Raiders of the Lost Past screened by the Yesterday channel (UK) in 2013. He contributed an article on shipwreck to the program for the Royal Shakespeare Company's production of The Tempest. Ray is fellow of the Royal Geographical Society and an officer of the Hakluyt Society. He writes and maintains the Hakluyt Society's website and edits the the online Journal of the Hakluyt Society. 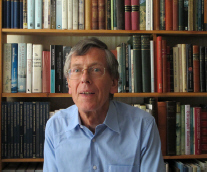 He has worked as series editor for the society's publication of The Journal of William Broughton in the North Pacific, and in 2010 he delivered the Hakluyt Society Annual Lecture at the RGS on the subject of imaginary voyages, printed copies of which are available from the Society. More recently, Ray's interests have turned towards local history. He is a council member of the Bourne Society, whose website he designs and maintains, and he is on the management committee of the East Surrey Museum whose website he also writes. Ray regularly attends Sunday services at the Caterham United Reformed Church, where he is a serving elder and a member of several church committees. He can often be seen working in the church garden, or found serving tea and coffee after the Sunday service. In the field of local history Ray has recently written two books. The first is an illustrated History of Harestone Valley, Caterham which was published by the Bourne Society in November 2015, and the second is a 60-page illustrated History of East Surrey Museum, which was published in August 2017. Details of both publications are given below. Ray also put together an exhibition of old maps and photographs for the East Surrey Museum illustrating the history of Harestone Valley over the past two centuries. 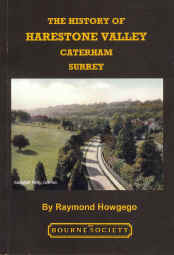 The History of Harestone Valley, Caterham, Surrey. 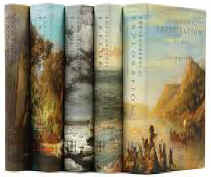 This A5-size book has 70 pages illustrated with 35 old photographs and eight map reproductions. The area covered includes Harestone Valley Road, Loxford Road, Colburn Avenue, Harestone Hill, Harestone Lane, Weald Way and Woodland Way. The text is based on a painstaking search of the archives and includes much information not easily found elsewhere. In addition, the author has taken care not to repeat information found in other local history publications. 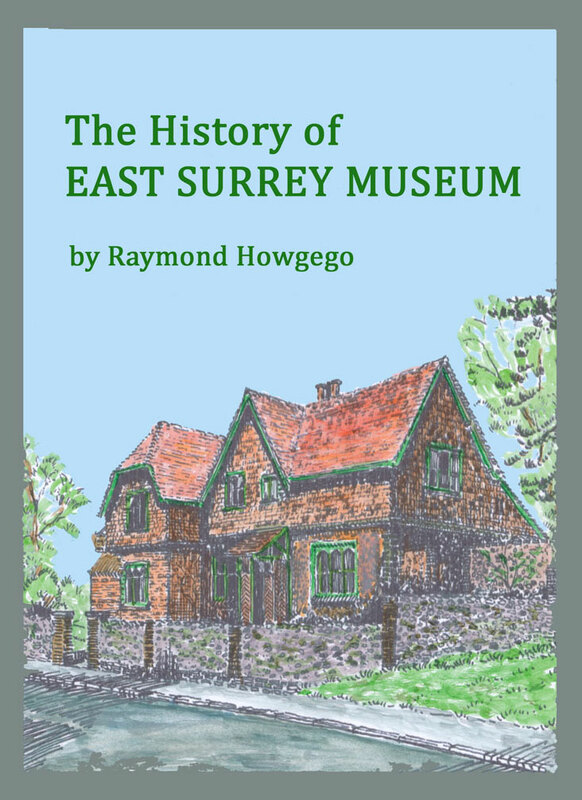 The book, which costs a mere £5, is most easily obtained from the East Surrey Museum, which is open on Wednesdays, Thursdays and Saturdays. Alternatively it may be ordered by post from the Bourne Society (see their website for details) or at Bourne Society stalls at various functions throughout the year. Of the 250 copies printed, only around 30 remain unsold. Cover picture: A rare colour photograph of Harestone Valley in 1908 as seen from the balcony of the United Reformed Church tower. In this attractively presented 60-page book, Ray Howgego traces year by year the evolution of the museum from the Bourne Society pioneers of the 1970s, through the museum's foundation in 1980, right up to the present day. The author draws on the many thousands of pages of primary documents in the archives of the museum, augmented and enriched with personal reminiscences, to provide an accurate and readable account of the struggle to gain public and official support, the eternal battle for funding, and the extraordinary dedication of curators, volunteers and friends who gave up so much of their time to ensuring the museum's permanence and development. Every exhibition ever mounted by the museum receives a mention, while an opening chapter relates the story of the house and its occupants before the building's conversion. Being centred on the museum and those who created and maintained it, many of whom were prominent in the community and had affiliations elsewhere, the book is an important addition to the literature of East Surrey and is essential reading for museum friends and all who are interested in local history. Copies of the book are available in the museum at a price of £5 each, all profits going to the museum. If you are unable to call at the museum you may order the book by post by sending us a cheque for £6.50, payable to 'East Surrey Museum', and enclosing your name and address.